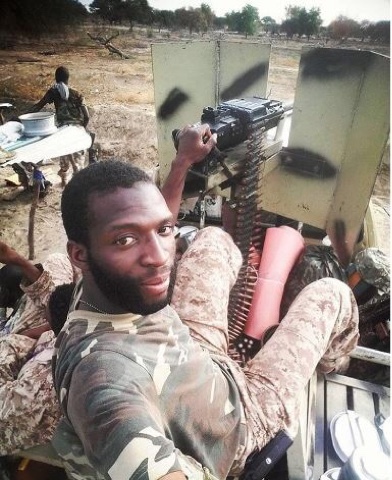 Selfie From Boko Haram Battle Field! A Nigerian soldier is seen taking a selfie on the battlefield while fighting Boko Haram. The photo which was shared by Defence Hq Nigeria on Twitter, has since gone viral. We pray for their safety.